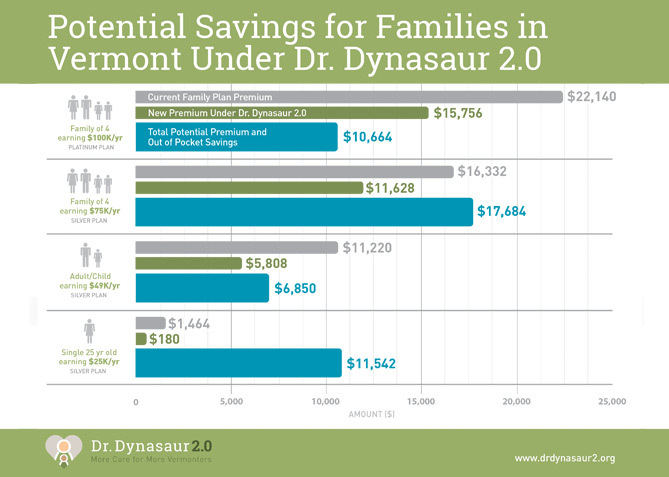 Vermont’s youth health care program is one of the best in the nation, largely in part due to Dr. Dynasaur. 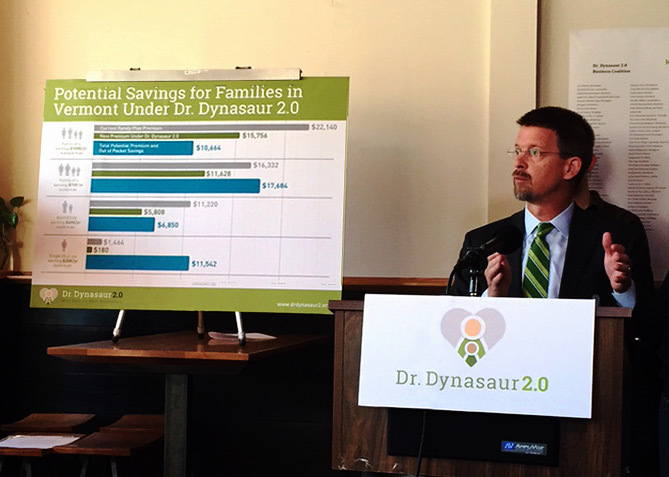 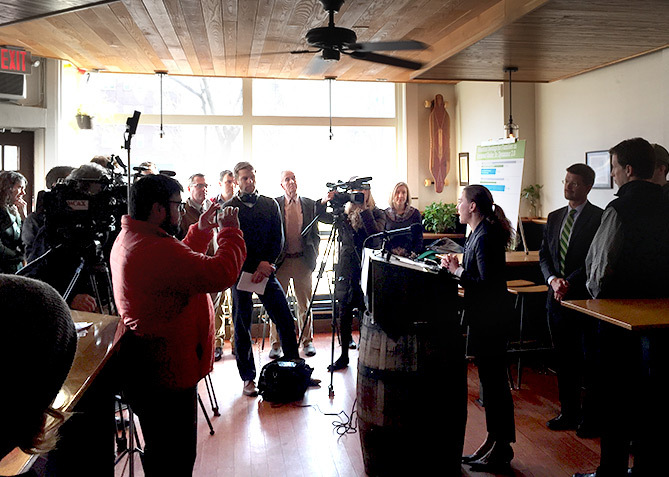 Tasked with creating a comprehensive campaign to lobby for its expansion we helped Dr. Dynasaur 2.0 take its first steps towards legislative reform. 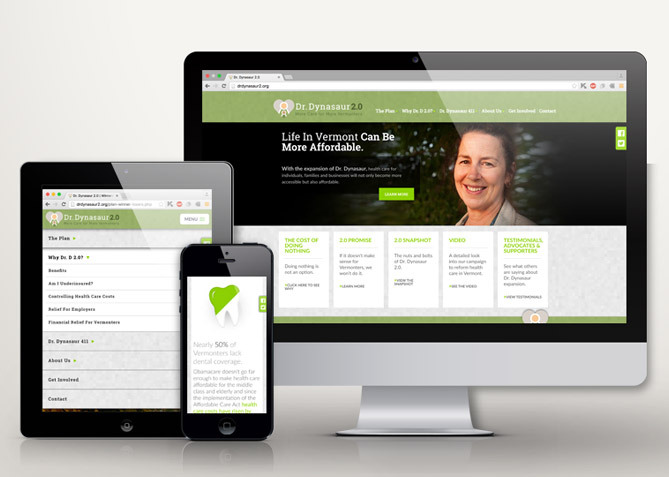 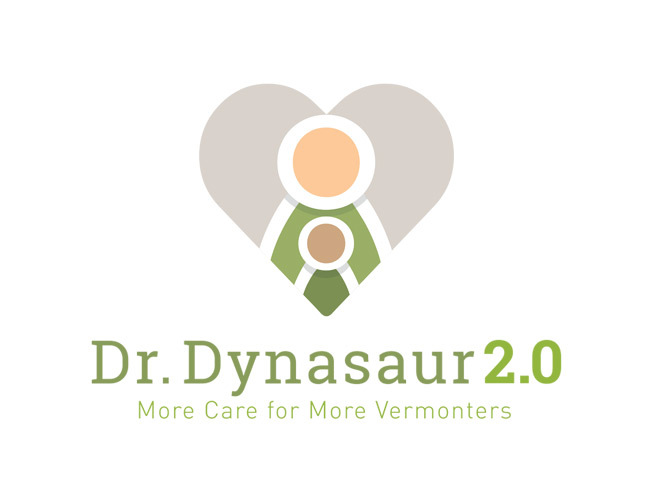 Dr. Dynasaur is a highly acclaimed state and federally subsidized health care program dedicated to providing medically necessary coverage to Vermont teens and pregnant women. 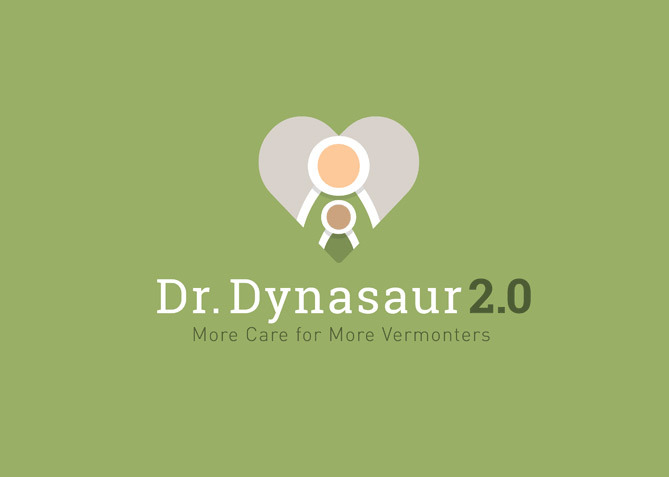 With a 78% bi-partisan approval rating, Dr. Dynasaur has lead Vermont to being regarded as having one of the best health care programs in the country. 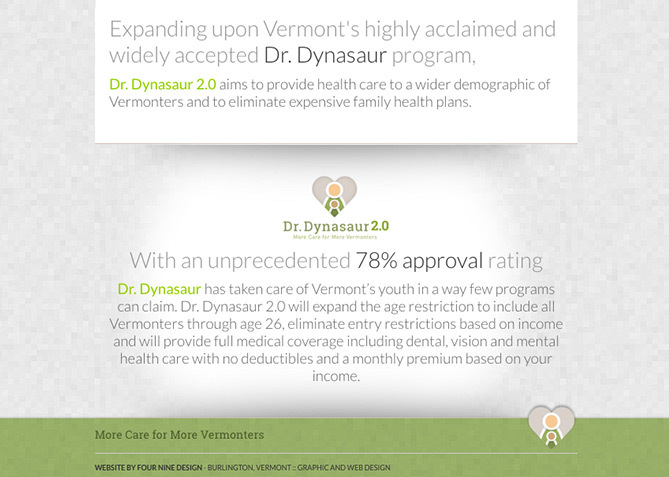 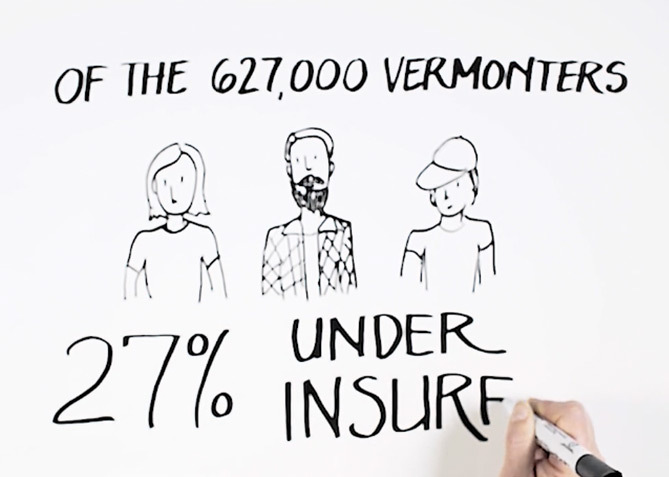 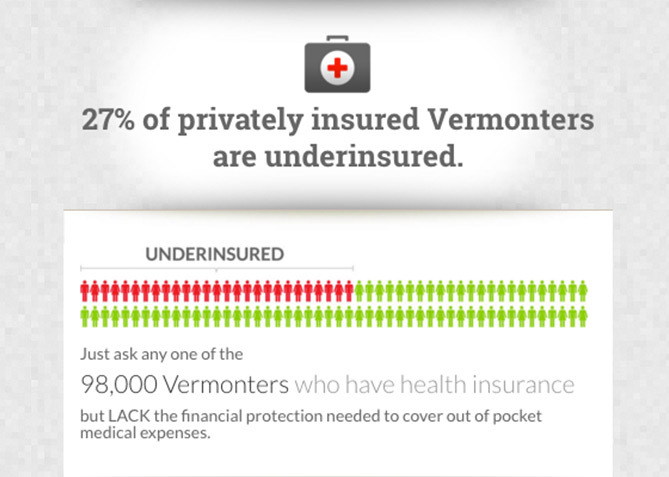 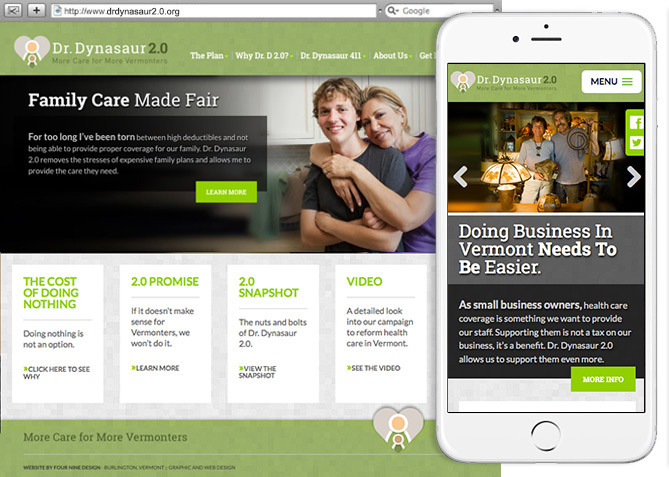 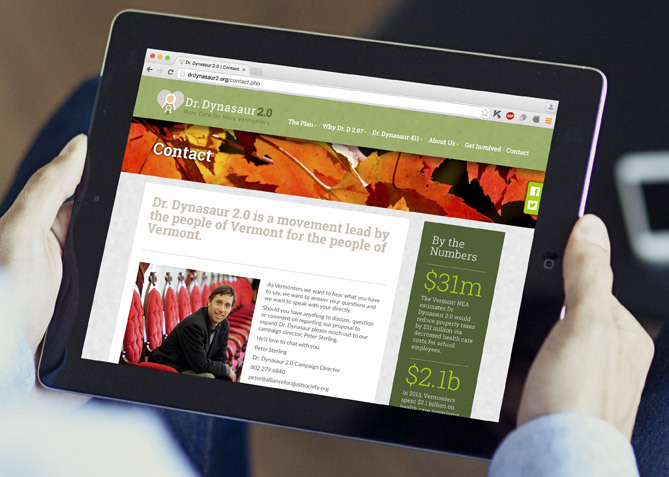 When a coalition of Vermont consumer groups, labor organizations, medical professionals and business organizations lead by Main Street Alliance decided it would be in Vermont’s best interest to expand the Dr. Dynasaur program to include all Vermonters up to age 26 they turned to Four Nine Design to help craft a comprehensive awareness campaign.